I have a thing for vintage linens, I comb thrift stores for old sheets and pillow cases that aren't terribly worn or faded. 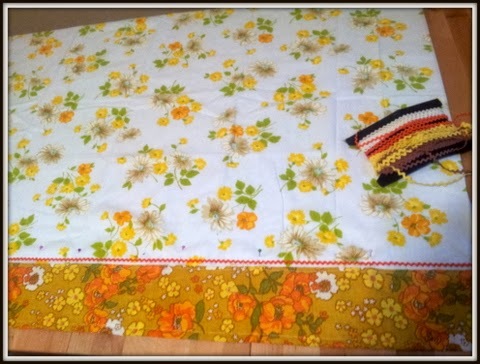 They make beautiful patches for quilts, or quilt backs, they are great for dresses and skirts, bag linings and of course kitchen curtains! 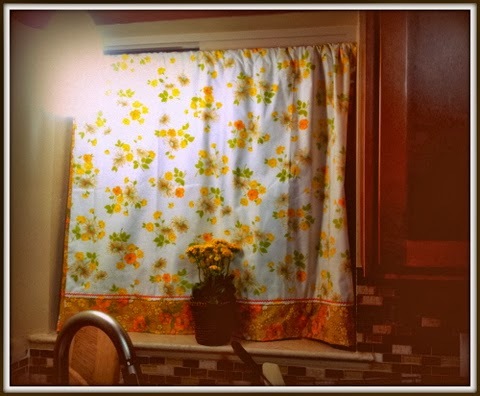 I just bought my very first house, and the first order of business after unpacking, was to make curtains for our windows above the kitchen sink.